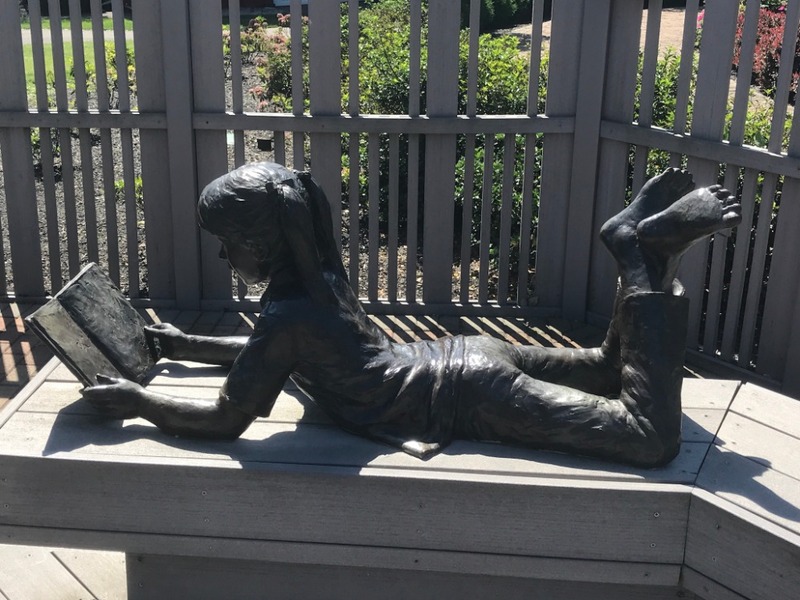 Girl lying on bench, stomach down and torso up supported by her bent arms. 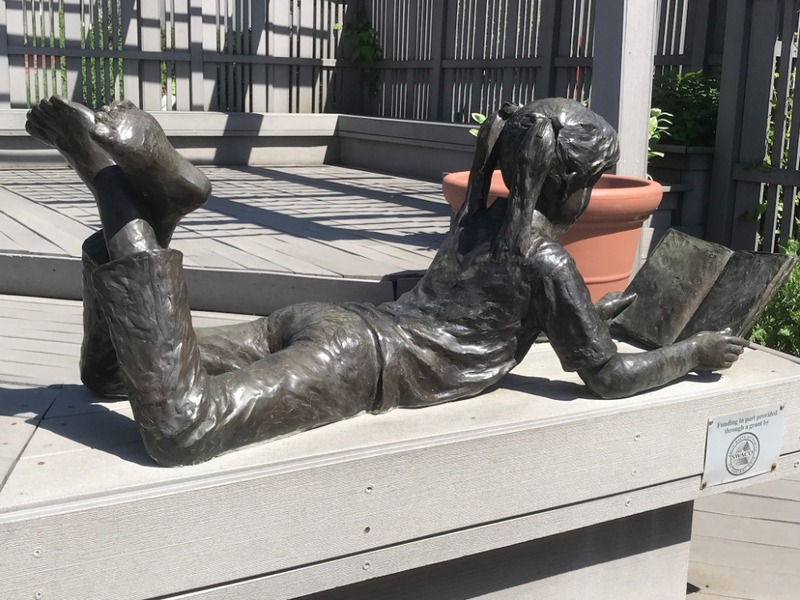 She is holding a book with both hands and is looking down at it. 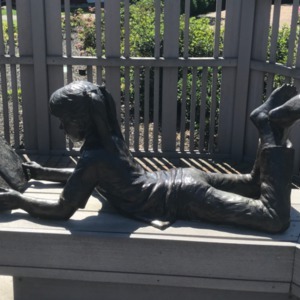 Her legs are bent at the knees and the proper left foot is crossed over the proper right foot. 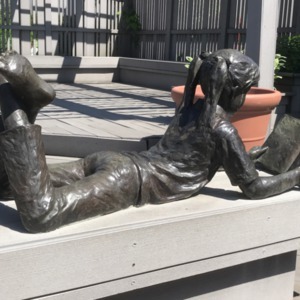 She wears long pants and a short sleeved top, and her hair is in two ribboned ponytails. 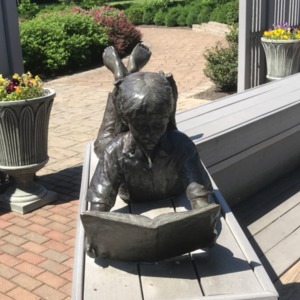 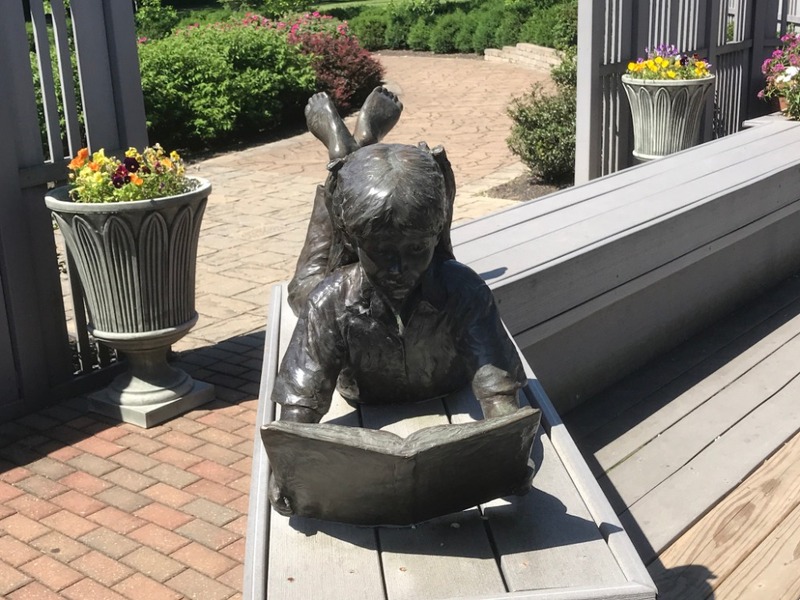 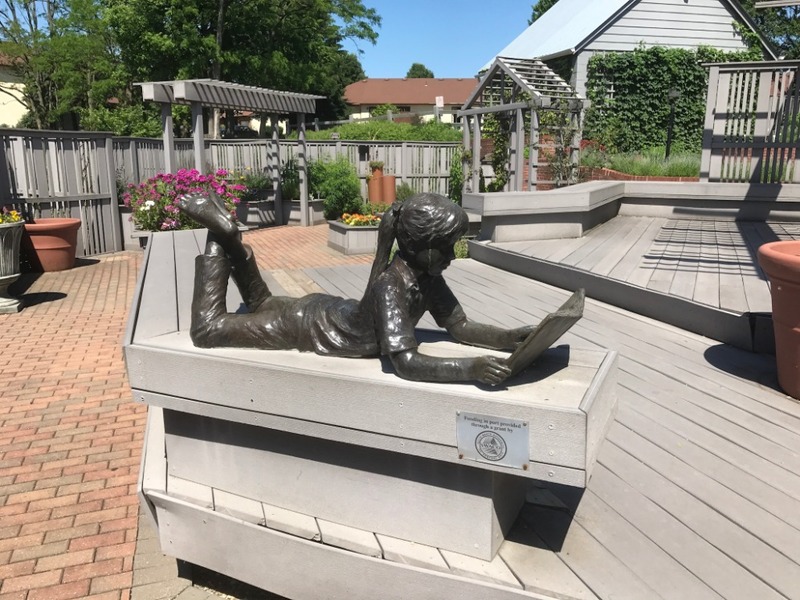 : Dennis Smith, “Little Girl Reading,” Ohio Outdoor Sculpture Inventory, accessed April 20, 2019, http://oosi.sculpturecenter.org/items/show/753.